College students across India, who are 18 years and above, are very often treated like children under the protective and restrictive custody of educational institutions. Female students are particularly expected to adhere to regressive rules set by college authorities. 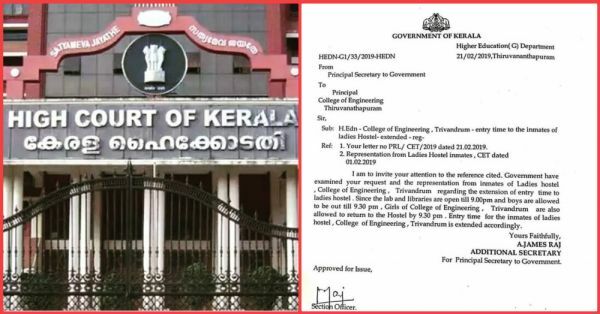 However, this practice was recently questioned by the Kerala High Court and it rescinded the restrictions imposed on girls imposed by a Thrissur college. The court stated that girls have the same freedom as enjoyed by boys and held that any restrictions in this regard are a violation of fundamental rights. Our judiciary seems to be taking various small steps to see the change that our society desperately needs. "A girl is having equal freedom similar to a boy," ruled the High Court of Kerala while striking down a stipulation in Hostel Rules that barred girl inmates from going to evening movie shows. Justice Mushtaq Mohammad passed this order based on a petition filed by two students of the college hostel - Anjitha K Jose and Rinsa Thasni. They challenged the order of the hostel warden that imposed a ban on the boarders from taking part in political activities and attending processions and meetings. 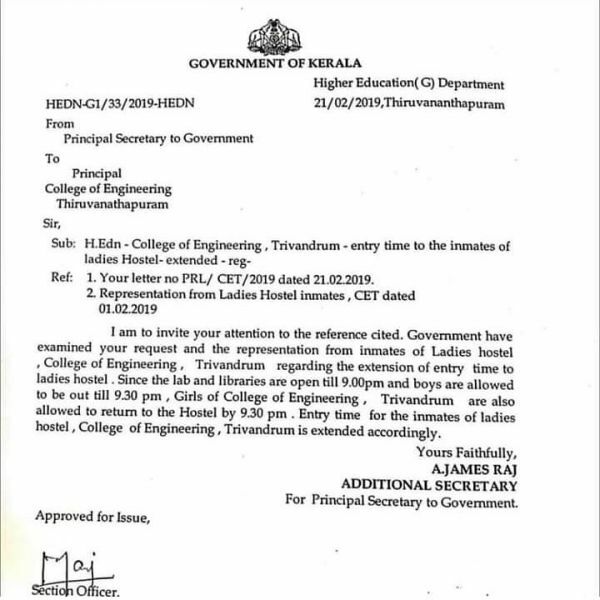 Justice Mustaque noted that there is no such restriction in the boy's hostel of Sree Kerala Varma College. The court therefore partly allowed the petition filed by Anjitha K Jose, "It appears that moral choice of the management is attempted to be imposed upon the boarders. The moral paternalism is something to be frowned upon... It is for the students to decide whether they should go for first or second show movies or not. This is an activity outside the hostel activity." Anjitha K Jose had also called out the warden's hostel curfew for its blatant discrimination towards female inmates. As per the hostel rules, female students needed to enter the hostel by 4.30 pm, an hour after their classes end on all days except Tuesday, Thursday and Saturdays. On these days, the hostel gate would close at 6 pm. On Sundays and public holidays, boarders are not allowed to go outside. 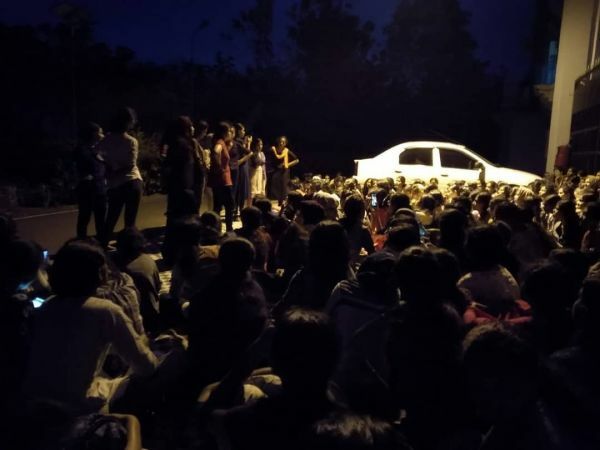 However, the High Court refused to interfere with the curfew situation by stating that it was up to the college principal to consider the matter. The college authorities have the right to fix the timing for the students to enter the hostel, the court said, but pointed out that it should be based on wisdom. The court implored the principal to take a decision on the matter with a realistic perspective.